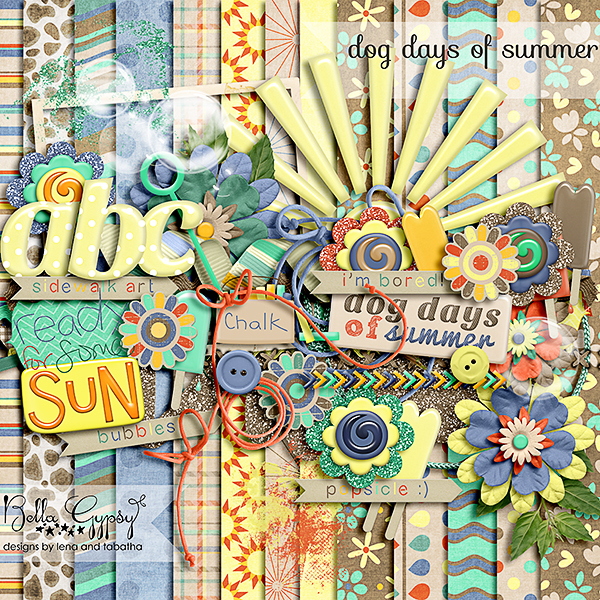 Dog Days of Summer Day 30!! Wow…can you believe it only one more day left in July!!! We really hope you all have enjoyed this month long celebration as much as we have!!! It’s been so fun share all these freebies with you all!!! Just one more day and one more freebie…make sure you stay tuned!!! Here is today’s template!! 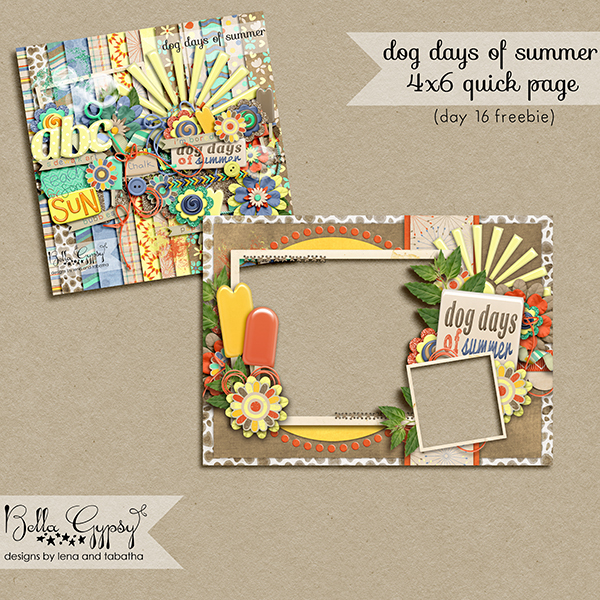 If you haven’t yet, don’t Forget to Pick up the Dog Days of Summer kit It’s for sale at Gotta Pixel and A Cherry On Top!!! Don’t forget to keep your eyes peeled to the blog, our Facebook Fan Page and your Inbox for more goodies each and every day!!! If you aren’t signed up for the Bella Gypsy newsletter, you can do so HERE! 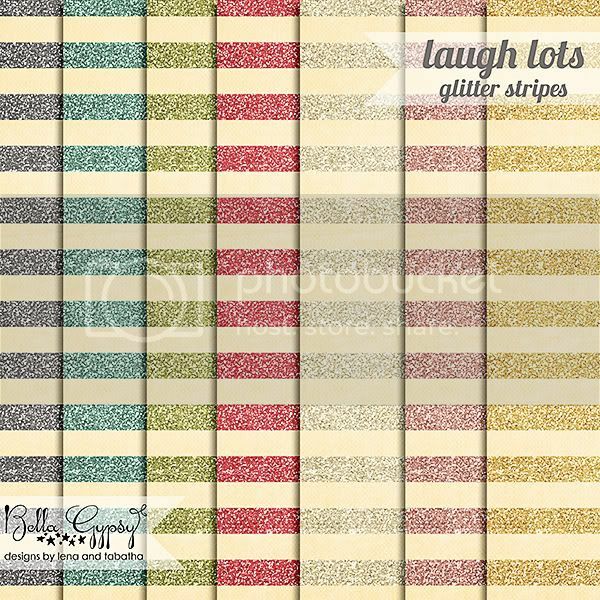 And you can check the freebie calendar ::HERE:: to let you know when and where the next freebie will be available!!! Dog Days of Summer Day 28!! Hooray it’s Saturday!!! I hope you all are enjoying your weekend so far!!! And to give you even a little bit more “sunshine” to your weekend I have another 6×4 quick page to add to your brag book!! Hope you enjoy it!!! 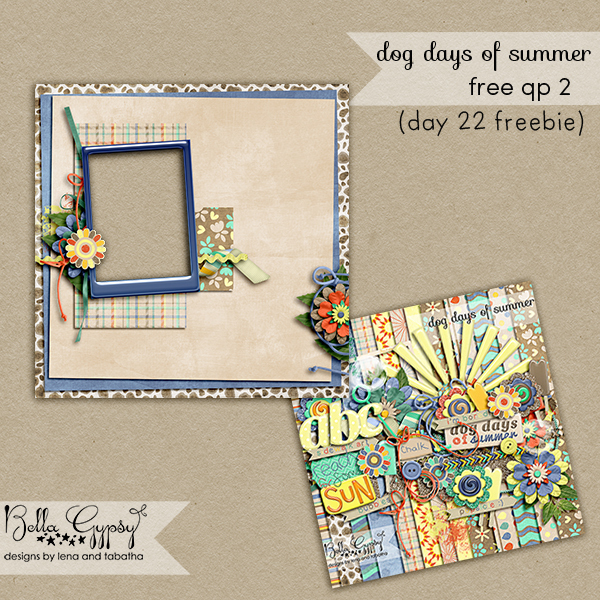 Dog Days of Summer Freebie: Day 24!! Wow!!! Can you believer that July is almost over!!! This summer has flown by so fast…it just seems like yesterday it was the last day of school!!! We we still have a few more days left and that means a few more freebies to give away!!! 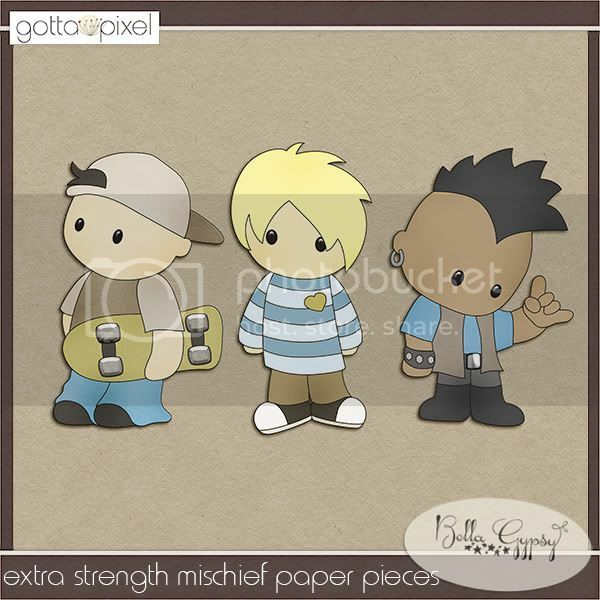 Today I bring you another 6×4 quickpage to add to your “bragbook”!! Hope you all enjoy!! Good morning, scrappers! Lena here, and I can’t believe that July is almost over! Say it ain’t so! 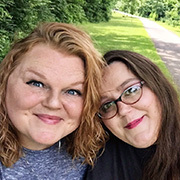 I turn 32 on the last day of July, so if anyone could slow time just a little, I’d appreciate it! 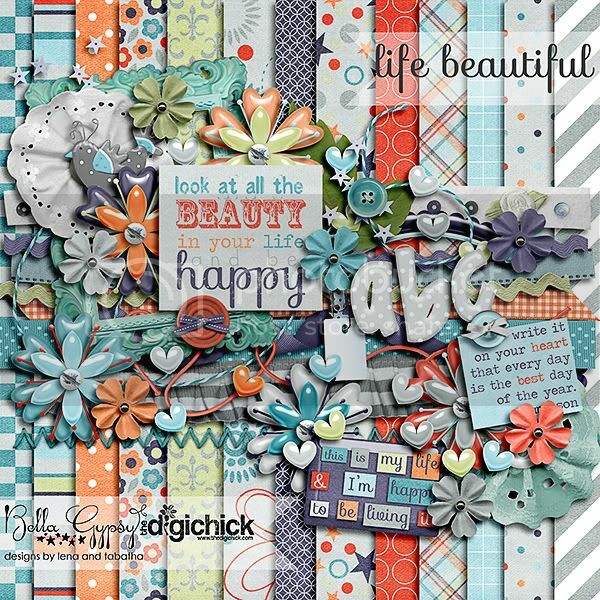 We’ve been enjoying sharing these daily freebies with you, and today’s is a quick page I whipped up for you…I hope you enjoy! Today is “bonus entry day”. All purchases made in any of Bella Gypsy’s shops today get entered twice in to our gran prize drawing at the end of the month! 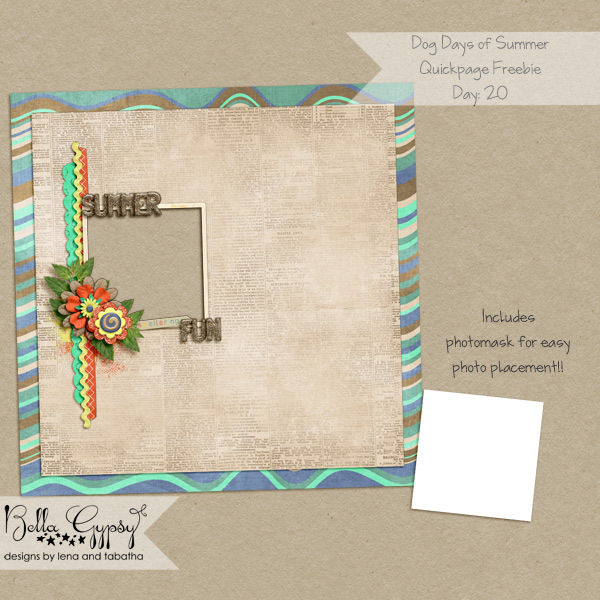 Dog Days of Summer Freebie Day 20!! Better late then never right!?!?! 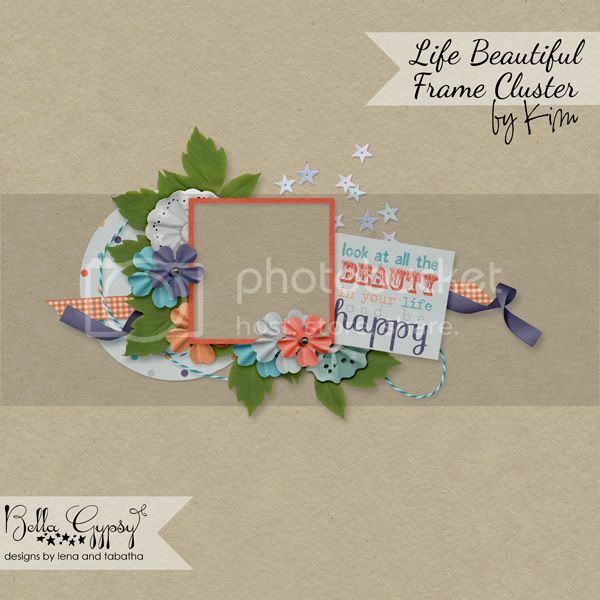 *lol* Here is your freebie for today, a quickpage to make for some easy and effortless scrapping of those summer memories we are all making every day!!! Lena popping in here really quickly to say here’s today’s freebie, friends! Just click on the image to download! 🙂 I hope you’re enjoying all the fun and managing to enjoy these dog days of Summer. I think my family is headed off to the pool today…so I’m outta here! Dog Days Of Summer: Day 14!! Good Morning!!! We have another fabulous goodie for you today!!! 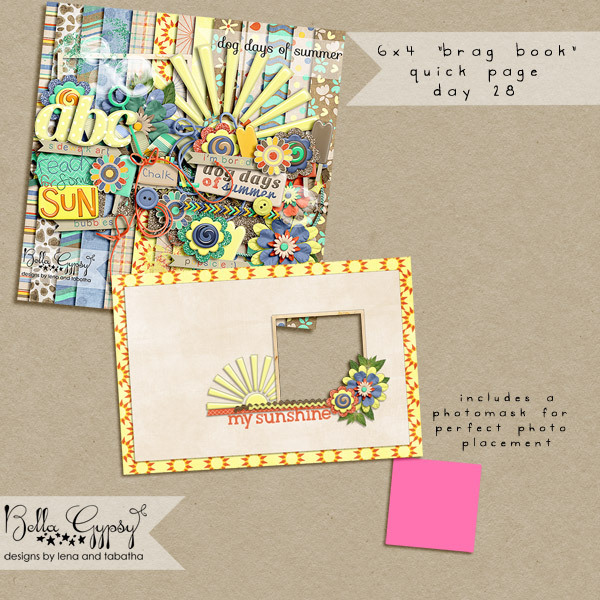 It’s a second page for the 6×4 brag book!! Using just as it is or add a few more goodies to it. 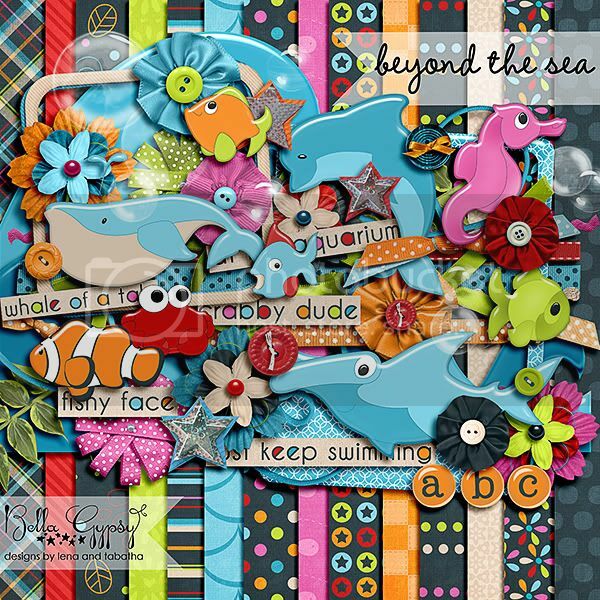 Their is lots of space left for journaling too!!! 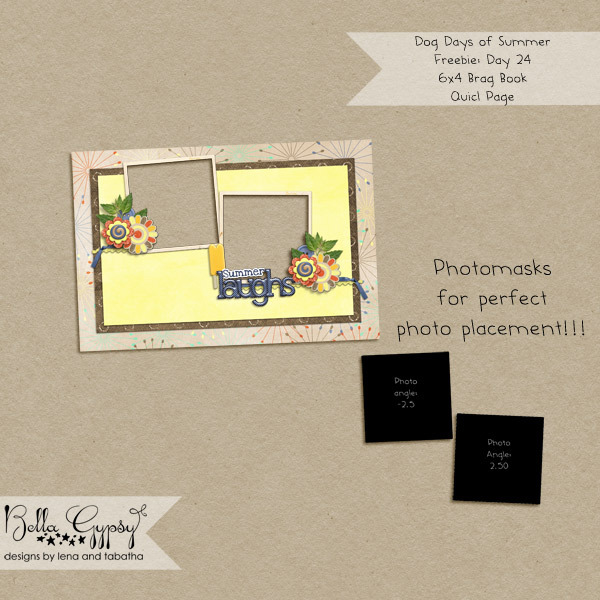 As before it includes a PNG photo mask for easy photo placement too!! !